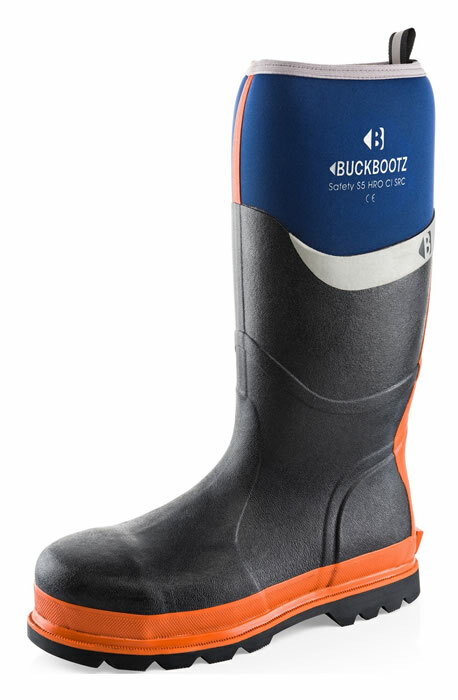 The BuckBootz BBZ6000 Safety Boot is a flexible and waterproof Men's Safety Wellington. 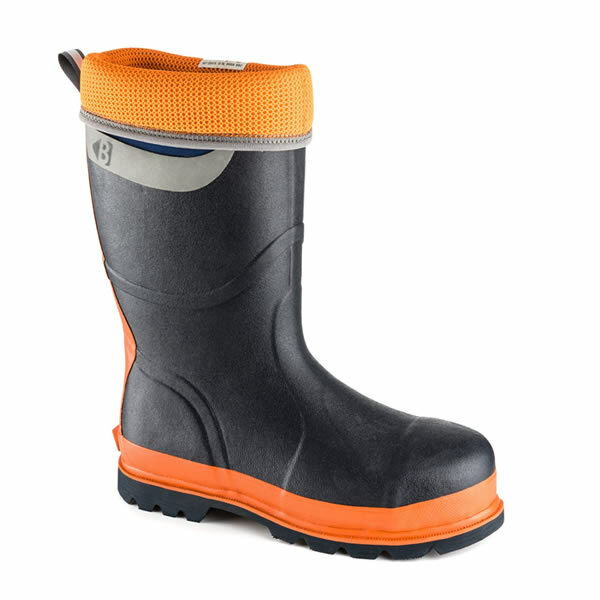 Constructed of neoprene, the boot also has excellent insulation for those cold winter days. Heat (300ºC/60 secs) and Oil Resistant Outsole. In addition the boots are fitted with Structured Airmesh breathable linings, detachable cushion insoles and a hi-viz lining which rolls down for extra safety.